We, the Green Van Lines movers, take great pride in introducing ourselves as one of the leading van line companies. We provide the best moving services in Montana (MA), the United States of America (USA) – our services cannot be matched by the competition. We assist your home, and you, in making your move hassle-free and comfortable. Our wide network of offices across the country helps us in moving your goods across the various cities and towns of Montana (MA) – namely Lolo, Townsend, Pablo, Darby, etc. We are constantly trying to be green and eco-friendly, so we use recycled materials to pack your goods. We have a team of experienced staff who have thorough knowledge in this field, and are experts at their jobs. We take the utmost care and responsibility while packing, unpacking, and loading your household or office items. We also ensure that your precious goods reach your desired destination safely. 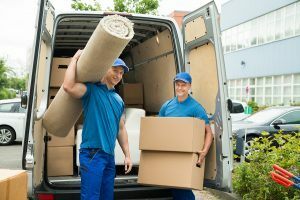 Furthermore, there are various other services that are provided by us – such as Montana car carries and Montana transportation services, Montana air and sea cargo services, Montana insurance services, Montana warehousing services, Montana apartment moving services, Montana furniture moving services, Montana office moving services, etc. Green Van Lines’ movers help to mitigate all your worries and problems regarding the relocation of your goods. We try our best to minimize problems, to keep you stress-free and cozy. Green Van Lines provide the best household services, storage services, mini-storage services, and long-distance relocation services. Thus, if you are planning to move your office or home to a different location, you must give us a chance to serve you!